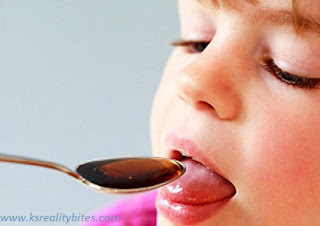 KSRealityBites: FDA warns not to use codeine in kids after tonsil surgery! FDA warns not to use codeine in kids after tonsil surgery! The Food & Drug Administration (FDA) cautioned on 20th February that Codeine can kill some children when it is used to help with pain after tonsil & adenoid surgery, & it shouldn't be used any more! They said it was adding a strong warning, called a boxed warning, to the label of the drug, & also will warn that it is not to be used in certain patients - especially children after tonsil or adenoid surgery. According to the FDA's statement - "Health care professionals should prescribe an alternate analgesic for post-operative pain control in children who are undergoing tonsillectomy &/or adenoidectomy. Codeine should not be used for pain in children following these procedures." Last year, the FDA said it was investigating the deaths of three children. They died after getting their tonsils or adenoids removed, & had been given codeine to ease the pain. Codeine is turned into morphine in the liver, & morphine can suppress breathing. "Many of the cases of serious adverse events or death occurred in children with obstructive sleep apnea who received codeine after a tonsillectomy &/or adenoidectomy," the FDA said. The children appeared to have metabolisms that naturally converted codeine to morphine at an unusually high rate - meaning they got a higher-than-expected dose of the drug once the body processed it. "Since these children already had underlying breathing problems, they may have been particularly sensitive to the breathing difficulties that can result when codeine is converted in the body to high levels of morphine. However, this contraindication applies to all children undergoing tonsillectomy &/or adenoidectomy because it's not easy to determine which children might be ultra-rapid metabolizers of codeine," the FDA says. Blueness on the lips or around the mouth. Unusual sleepiness, such as being difficult to wake up. Labored or noisy breathing, such as breathing shallowly with a "sighing" pattern of breathing or deep breaths separated by abnormally long pauses. Thank you for this post. Somehow it gives me a really helpful information. Though personally I haven't tried using codeine yet, but good thing I learned that it is not safe to use.